If you've seen my Instagram (shameless plug, I know! 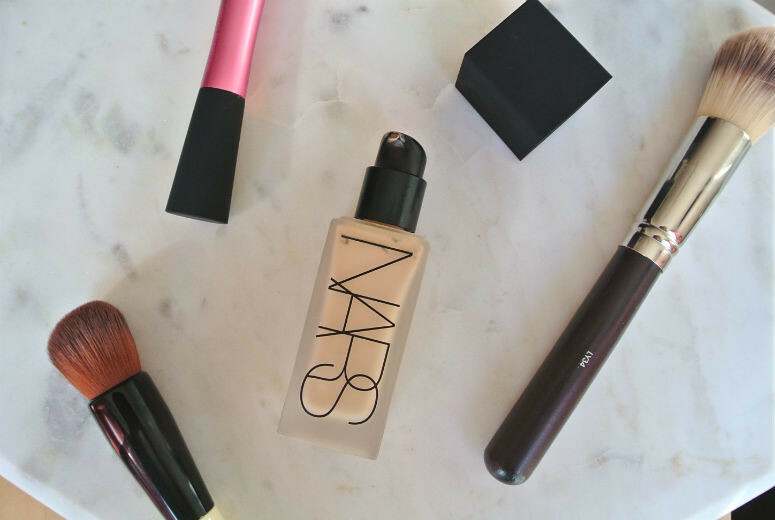 Look up linac89) then you will have seen that I recently purchased the new NARS All Day Luminous Weightless Foundation. Whew, long name, high promise. I'm labelling this ADLWF for the rest of this post. 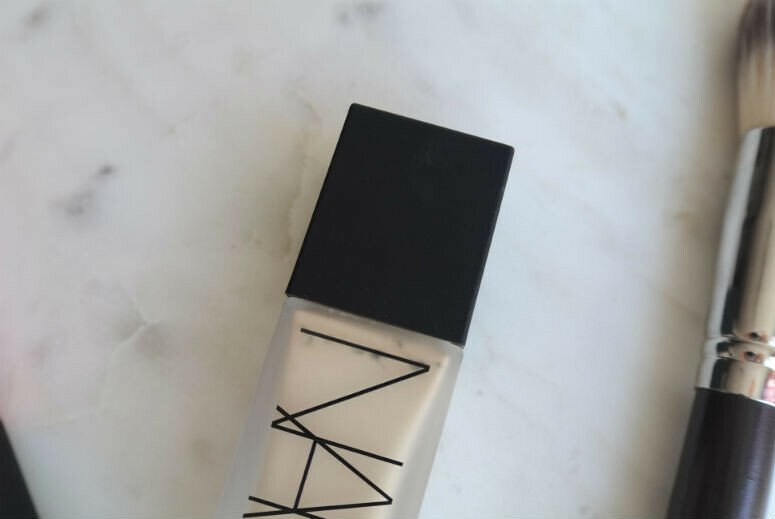 I guess we should applaud NARS for making a foundation that is labelled exactly with their intent. The question is, does it really deliver? You will be glad to hear that the ADLWF comes in a bottle with a pump. Hurrah! No more need to buy the pump separately anymore. I personally found that annoying, because when I omitted to buy it the first time I bought Sheer Matte and had to return, Space NK were out of stock for a ridiculously long time. With ADLWF, you won't have to worry about that again. 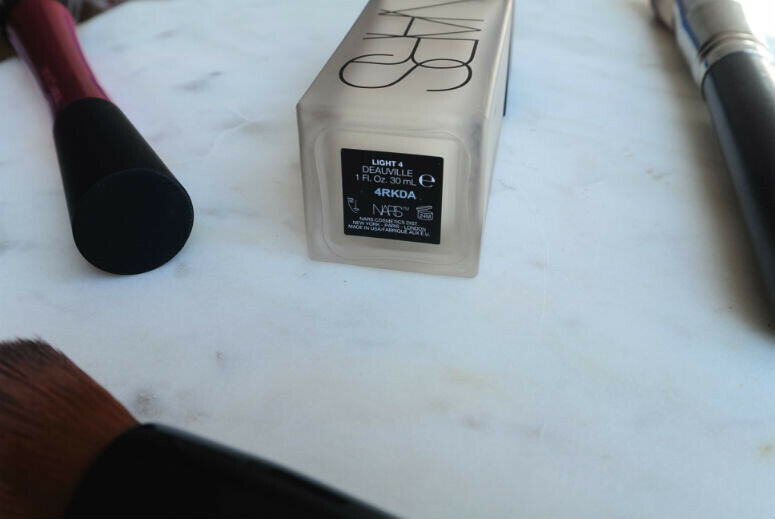 The shades of the ADLWF all correspond to NARS Sheer Glow shades, so if you know your shade with that product, it should be quite easy to find your ADLWF colour. I wear Deauville in Sheer Glow, and got matched to that. I have found that when I put it on at home, it starts off very pale on me, and takes some time to acclimatise to my skin colour. The ADLWF has a very liquidy formulation. If you've ever used Chanel Vitalumiere Aqua, you might have thought that was about as watery as you could get. No, ADLWF is seriously watery. I had the shock of my life, or at least morning, when I took the cap off and shook the bottle as directed. I didn't have my glasses on, looked down and wondered why there was foundation on my hand, before realising it had actually leaked from the pump while I was shaking. Not only had it leaked over my hand and the pump, it had flicked a tiny bit onto my brand new black t-shirt. Grrr. I strongly recommend you keep the cap on while you shake it, which you will definitely need to do, before taking it off to dispense. Since it is so watery, it goes on very lightly, and does in fact feel fairly weightless on my skin. I did find that if I touched my face at all, it felt a tad tacky with this foundation. Possibly this is because it's trying to stick to my ski for the stated 16 hours? I have yet to wear it for that long to test this out. In all honesty, I don't think there is any day where I would need to wear foundation for that long. I like getting home into my joggers too much to need wearing foundation for that long. The longest I have worn it for was 10 hours, and it held up quite well, with little to no sliding on my dehydrated cheek areas. For anybody who enjoys a sheerer to medium coverage, then this is not the foundation for you. ADLWF is full, to the point I don't need to wear concealer to cover anything up at all. I am confident enough with this to just go over any areas that need a bit of help with the brush again, stippling any left over formula on. It does however seem fairly luminous, depending on your skin type, and is not completely flat and matte. My (mostly) combination skin seemed to work fairly well with it, so that instead of needing to dab on some powder later on during the day, my t-zone looked glowy in a very natural way. The Sheer Matte which this has seemed to replace had a similar satiny finish, but with less coverage. So, to round up: All Day? Possibly. Luminous? Check. Weightless? Check. In theory, I should like this foundation, and I probably would if my skin were behaving a bit better. The problem is that I bought this just as my skin started manifesting weird random dry patches. ADLWF is very unforgiving if you have any dry patches, immediately sticking to them and making them very obvious. If you have normal or combination skin, then this is a foundation to try if you're looking for full coverage. If you have dry skin at all, then steer clear.